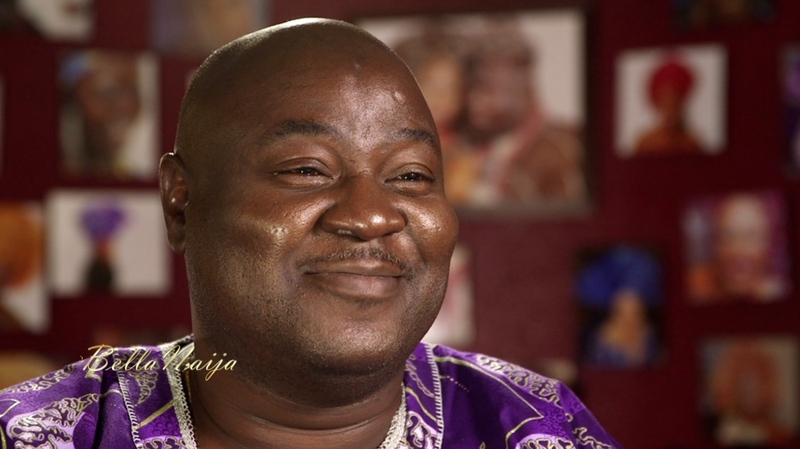 Inside Africa, a CNN lifestyle show, featured a Nigerian wedding in Houston, Texas this past weekend. 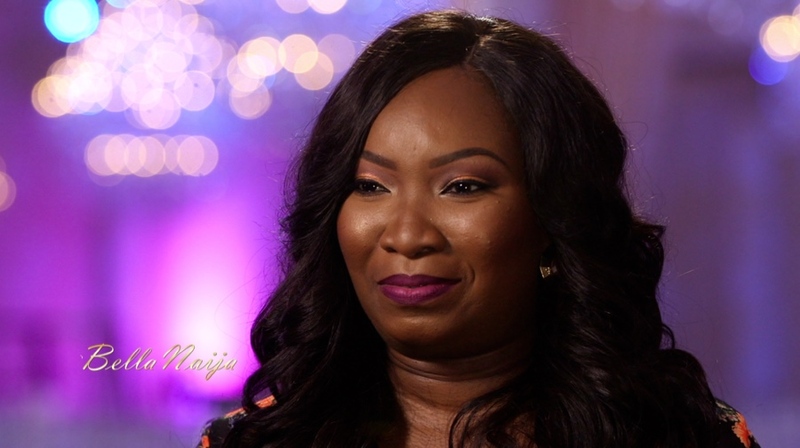 From the Yoruba traditional engagement, to the white wedding, the bride and groom, Tolani and IBK, talk about how they met, not ‘watering down’ their traditions even though they got married abroad and more! 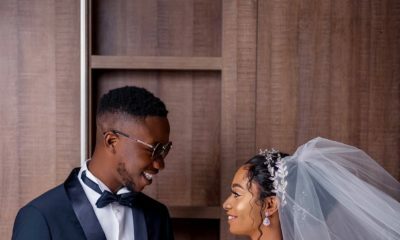 If this couple looks familiar, here’s why – we featured this fun pair’s pre-wedding shoot and music video (yes, you read that right, complete with choreography) to Woju by Kiss Daniel. Click here for the full feature. Top Nigerian vendors Segun Gele who tied the bride’s gele (she did her makeup), and Chioma of Dure Events, who planned the wedding, make an appearance. WATCH the 3 segments below! See more Inside Africa on their social media! Chai GOd bless my Mother land, God bless Nigeria, God bless the couple.. Oga Segun gele no cheap anymore. And U know what they said GO BIG or GO HOME becuz EVERYTHING is BIGGER in TX:) I LOVE every bit of it.. Dear God listen thru my heart for U know how I feel about my Yoruba Brothers, my Own James Lebron, My chocolate candy man.. Abeg Send them down. U said ask and I shall be given.. Yes, I can have it all : a loving man, a lovely family, and still be a career woman.. Oru Ku Jesu Amiii ooo..
Dear father -inlaw U are d first I have seen that didn’t take bride price & what u did with it was amazing!!! Well we all know U can’t try that with my lovely ibos & Mazi Oke? say who die..
Pls say what you know, my father did not collect any bride same with my three other co-wives and yes we all are Igbo. segun gele, hope you have gotten off your non -existent high horse? on top wetin self? tying of gele abi? continue sebi u don arrive now? @ATL’s finest, I do know lots of Igbo father’s that don’t take bride price. My sister in law’s Father for one and so many others. Just celebrate your people and don’t make sweeping statements like that abeg. Thank you jare. She only revealed her ignorance with that highly unnecessary comment. Atl’s finest so how many Igbo bride prices have you met or sat at as the ceremony was going on? I know for a fact that Igbo women do not sit in on bride price taking talk more of a yoruba woman, so how did you come to the factual knowledge that you so generously shared? Or are you talking about the movies you watched on African Magic? Congrats Tolani and IBK, I follow her youtube channel. They turnt up, and their dancing moves is no joke. Not feeling the heavy makeup and hairstyle. So so beautiful, to God be ALL the Glory! May God bless and keep your family safe in Jesus Mighty Name-amen. I love love love this couple. Wow!!!!! I wish I could turn back the hands of time and then have this much fun at my own wedding. this is not the typical USA naija owambe Ovation mag standard hashtagging instagram everywhere type of wedding, cos the crowd seems very small and I wasn’t too wowed. more American than Nigerian if you ask me. happy married life but it seems like u really wanted to oppress folks. Go BIG or GO HOME they say, having CNN Africa voices at ur wedding is an invitation for me and others to criticize ur wedding. no vex…lol!! wish you had just done a BN wedding feature and select how u want ur story to be told..
dont call me a hater but *cough cough*, she is web famous, so she knows how to take criticism. May God give you peace!!! All the weddings you listed which one of them did CNN feature???? Let me help you NONE!!! Be happy for people. They are proud of their culture and that is what the message was about… Be happy for them of just shut up! Are you Ok? It’s obvious that you know her personally and have a huge chip on your shoulder. Anyway, their wedding looked awesome, and the bride is very beautiful! Always that one Bad bella person sha, ah huh wetin be your own sef. Not everyone is into big weddings. And their wedding was spectacular! The venue, the makeup everything was ON FLEEK. Stop trying to downplay it, and “Gerrarahia” mehn. Really? All of that came out from U???? Whaooo I wonder what this world is turning into smh. Like my Best is always say be happy for people but apparently that don’t apply to everyone living..it is well with U! @ Are we done yet. What a hate filled, bottom feeding comment that is the product of the putrid, cesspool that you are pleased to call a heart? People like you are what’s wrong with this world. Using the anonymity of the Internet to spew rubbish to people when you won’t dare say it to theirface. Scum. You are really bitter. It shows in your comment. Why not post your cnn covered wedding. The wedding planner did a fantastic job. Beautiful bride handsome groom and lovely guest. First, Chioma said the events can go UPWARDS of 150k, so that means that 150k is on the upper end of the budgets she usually deals with. I don’t think she insinuated that this wedding cost 150k. I recently went to a wedding done by Dure events, and it was beautiful. She does a good job. Second, you sound like a very bitter hater all around. Were you not invited to the wedding? Pele…. WOWWWWWWWW lmaoooo God bless you dear, you will be alright IJN! @Mama- CNN actually reached out to another couple and another planner first to feature their wedding but they said no because they did not want that type of attention. So don’t diss others who did not have a “CNN covered wedding” because some chose not to. I mean this ‘are we done yet?’ is being real though, this wedding definitely did not cost 150k, come on, the babe did her make-up her self :s ! I just wish the cnn segment was on a bigger nigerian wedding kinda feel like this doesn’t really represent what we are capable of. Oh well they seem really in love and that’s all that matters. Jealousy! Because dem no show your own on cnn shebi ? Wow. Such bitterness and nastiness in your comment. Says so much about you. Terrible. Omgggg this made me cry . This was so beautiful . I love being Nigerian . So glad our culture was not lost in colonialism . We are part of a unique set group . This was so beautiful . The dancing and all they were so vibrant and full of life . Happy Married Life to the beautiful couple . Videos could not be initialized. Oh this is Tolani, I’m subscribed to her YouTube channel. HML to them. only the best. congrats. yoruba wedding is aways elaborate and extravagant.kudos to the wedding planner. she did a fantastic job. Aww that part with her Mum dressing her up. too cute! May God bless their union! Absolutely beautiful couple and an equally beautiful wedding!! I am not Nigerian but would like to know how Nigerians in the US afford such expensive weddings. Who pays for these weddings? Just wanted to ask. 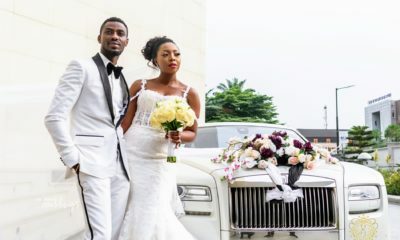 Nigerians are able to afford expensive weddings because we are very educated, and we pursue high-paying professions such as medicine, law, engineering, and so on. Also, many are big business owners. We like nice and elaborate things, so we work hard to afford them. Awwww, here’s the one who secretly crushed on the groom and then he picked someone else to be his bride. No worry ehn, God will provide. The wedding was beautiful, full of love and friendship. May it last forever. You my friend are the head of the haters committee. May God help you. @fabulous, same here………….video could not be initialized…….??? Why do we use cake, bible and ring in a traditional wedding? Are those items really part of our tradition? HML to the couple. Nice wedding. for the same reason no one does “proper” naming ceremonies anymore. We think our trad beliefs are “wrong”/inferior so we have to incorporate the white man’s religion. Then again what it a white wedding to an African? Lord, remember me this year. No vex but I believe the planner is saying she does luxury weddings that can cost anywhere between $150,000 and up. She was not saying this one specifically cost as much. I dont think she is lying though. She planned that super expensive Igbo wedding in Houston that was featured on this site and other beautiful ones I saw on her IG page. I like her work and would book her if I lived there and had the money and husband to be of course. Aawww, thank you so much dear. I was at this wedding and did not know CNN was there… a truly lovely couple. @are we done yet. Is it that you have clocked taty-five and your husband still dey 3rd mainland bridge dey find you? Or that you didn’t find your name on a coke can? Which of them is your problem? Tell me, you can confide in me. I can help contact CNN or Coca-Cola company for you. Hahahahahaha oya chop knuckle my friend! my love for the yuroba (guess i spelt it correctly)people…maybe it is because i lived in the same house with them.i learned how to prepare Amala,eba,lagba,Egussie soup(i enjoyed it though)….i love their culture too especially their language…yuroba men are handsome and caring oooo lol…dear GOD please give your Ghanaian daughter my own share of a good christian, educated,caring,hardworking,handsome,rich and respectful yuroba man just like the ones i know in Ghana lol…this is my prayer request in JESUS NAME AMEN….HAVE A BLISSFUL UNION,,GOD BLESS YOU MORE,YOU WILL NEVER LACK IN LIFE MAY YOU CONTINUE TO BE BLESSED WITH THE FRUIT OF THE WOMB! I pray they see their grand children in good health and success in all their endeavors. I was proud she did her own makeup herself. I really liked that segment it was very personal, deep and different. I hope their marriage is filled with happiness, joy and peace. 460 guests is a lot… what!! !and some people are saying its small and intimate. this made me emotional.. just picturing my own day & wondering who the lucky guy will be. lol…my own father & daughter dance will be very emotional. i love my dad crazzzyyyyy.. my husband will be very lucky if i’m able to love him the way i love my dad or more. don’t blame me, mum was neva around, so we bn thru a lot. me especially. Dad was super strict but i appreciate him for bn there & guiding me thru life. it’s all for the better. Awwwwwwwwwwwwwwwwwwwwwwww. I cried! I don’t know them but I love them. All that dancing! Hot steppers! May God bless their union with all their heart’s desires. And I love that it was so Nigerian. The bride’s aso-oke is so beautiful. Bless you guys. Sending love and kisses your way. @are we done yet, always so funny how haters usually end their hate rant with ‘I’m not a hater’. Girl you are a jealous hater! Lick some sugar and pray to God to give you your own joy. You were so consumed by jealousy that your brain couldn’t function properly and tell you that the event planner saying some weddings can cost up to 150k doesn’t necessarily mean this one cost as much. Bad belle oshi. GERRARAHIA MHEN. They are such a sweet couple! 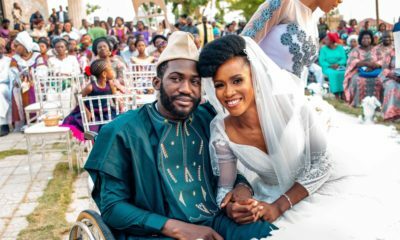 Their dances moves… Over amazing…..
Their chemistry is amazing… the friendship looks so real..
HML tolani and Ibk, God bless bless your union. It was such an honour to be at your wedding. I pray both of you will do this for your children and children’s children ijn. Shoutout to aunty Yemi…bride’s mother…she is a mother indeed and my oga….bride’s father…God will continue to make you the head and bless the works of your hand. Indeed the Lord is with this couple. God bless you all. The pre wedding woju something really made sense. Beutiful wedding !! May God Bless them and may they be together foreve beautiful bride and handsome groom!!!! Finally, I get to see this beautiful couple. …I have been a fan since their wedding announcement video and I just love love live them , their chemistry is…(smiles). I love the mom and son and the couple’s dances, they were significant and at the same time emotional for me.Did I mention I pity the bride that night because I see she’s shy and was putting the groom on suspense but the hormones were on the rise (might be due to keeping the bed holy) , the groom on the other hand was like, finally. He was so prepared yet patient with the bride…their chemistry I really love. God Almighty bless this beautiful couple, be with them now and evermore. There’s nothing as good as knowing there is still real love and companionship out there, meaning by God’s special grace those who still believe in love can still one day testify to its existence. God bless you everyday of your lives, Amen. Lovely event!!! Praying God’s blessings on this couple in Jesus’ name. My very own Aunty Yemi Sholatan…may God continually bless the works of your hands in Jesus’ name. You light up Yoruba traditional weddings!